Now we shall try to understand which of the three humors in a given body is predominant, and which is imbalanced according to the natural Prakriti, or disposition. Dosha means body-mind disposition. The indicators that Āyurveda utilizes in these tests include careful examinations of the pulse, urine, stool, tongue, eyes, facial luster, voice, and the texture of the skin. Now let us examine each of these in some detail. Figure 1 : Ayurvedic Physical examining the pluse of a patient. In the morning before breakfast is the best time to measure the pulse. Place the first three fingers on the wrist, near the root of the thumb, and try to feel the movement of the pulse (radial artery). If the individual is a male, take the right wrist pulse, but if the person is a female, use the left wrist to sense the pattern of the pulse. The hand should be open and held straight. If the movement of the pulse is felt to have a serpentine movement which weaves like a serpent, you will know that the overall disposition of this individual is primarily Vāt in nature. If the pulse seems to be jumping like a frog, crow or sparrow, then Pitt is predominant in his or her physical disposition. Finally, if the pulse moves very slowly like that of a swan or peacock, then Kaph is predominant in the physical disposition. If the surface of tongue is found to be somewhat dry and rough, then Vāt is predominant in the physical disposition. If the tongue is reddish or at times slightly darkish in color, then Pitt is predominant, and if it is white in color and somewhat moist and slippery on the surface, then Kaph is predominant in the physical disposition. If the eyes are smoky in color, dry and unsteady, moving fast, Vāt is predominate in the physical disposition. If the eyes are slightly yellowish and burning, and if the person is having sensations in the eyes that give discomfort in the light, the physical disposition is predominantly Pitt. If the eyes are whitish in color, somewhat lusterless, moist and sticky, Kaph is predominant in the physical disposition. One should conduct this test early in the morning before sunrise. If the body looks lusterless and somewhat darkish in color, then Vāt is predominant in the physical disposition. If it looks somewhat yellowish in color, then Pitt is predominant in the physical disposition. If the body looks lusterless and the skin’s surface is sticky or oily, then Kaph is predominant in the physical disposition. If the voice is soft, light and slow, Vāt is predominant. If the voice is clear and somewhat loud, then Pitt is predominant in the physical disposition. Finally, if the voice is heavy and somewhat harsh, or if there is a resonant sounding cough, then Kaph is predominant in the physical disposition. Move the finger tips softly on the surface of the skin. If the skin feels somewhat rough and dry, then Vāt is predominant in this physical disposition. If the surface feels hot, one is disposed towards an excess of Pitt. Finally if the skin is cold and slightly moist, one is disposed toward a predominance of Kaph. Take a glass or bronze vessel and collect the urine in the early morning before sunrise. While collecting the urine, discount the first and last portions of the flow and collect only the middle portion of the urine. Take some vegetable oil and with a piece of straw, toothpick or other small instrument, place a drop of the oil into the collected urine. If the oil spreads quickly and mixes with the urine there is predominance of Vāt in this individual’s physical disposition. The color of such urine has reddish hue, and is generally not very warm. If after dropping the oil into the urine you notice small bubbles coming up to the surface, Pitt is predominant in this physical disposition. This urine is usually yellow in color. However, if the drop of oil spreads over the urine forming an oily film, then Kaph is predominant in the physical disposition. Typically, Kaph urine has a whitish or clear appearance. If the drop of oil spreads quickly on the surface of urine and there is no distortion, this indicates a healthy condition. Be aware that urine quality can be affected by certain vitamins, herbal medicines, and there is no distortion, this indicates a healthy condition. Be aware that urine quality can be affected by certain vitamins, herbal medicines, and allopathic medications. Take this into account during the examination of the urine. Usually the stool that contains well-digested food will float on the water’s surface, while the stool containing undigested food will sink. If the stool is dry, somewhat darkish in color and foamy, then Vāt is predominant in the physical disposition. If it is slightly reddish or yellowish in color, soft like paste, hot and giving off a bad odor, then Pitt is predominant in the physical disposition. If the stool is whitish or in places somewhat greenish, then Kaph is predominant in the physical disposition. If the characteristics mentioned above are found to be of mixed kinds, know that there is more than one predominant humor in the physical disposition. These tests demonstrate an individual’s physical disposition and reveal whether there is a predominance of Kaph, Pitt or Vāt in the body. After determining which Dosha is predominant, one should make an effort to correct any imbalances in the predominant Dosha. To reduce the predominance of a particular Dosha, you must keep the season in mind, and make the necessary adjustments in lifestyle and diet. Take only those foods which will reduce the excesses that are disturbing the equilibrium of the Doshas. Make specific changes to lifestyle and habits that tend to further imbalance the Doshas. Chart 1: Examination Differences in Physical Disposition of the Three Doshas. Each one of us has a totally unique combination of Vāt, Pitt, and Kaph. This concept of Āyurveda is known as “Prakriti”, or “Nature.” The word Prakriti (Nature) includes both the natural world (macrocosm) and the human body (microcosm). Nature 0perates upon the principle of balance. 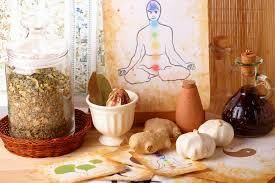 For proper health and harmony one should balance both the mental and physical aspects of the human organism. If we eliminate all imbalances from the body and the mind we can establish a state of perfect health: physical, mental, social, and spiritual. To achieve this balance Āyurveda gives more importance to the functions of the body than to the structure of the body.